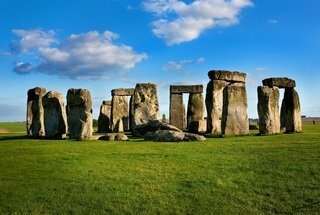 Journeying to the picturesque Salisbury plains, there will be plenty of time for a photo-stop at Stonehenge,the most famous prehistoric monument in the world. Step back in time 5,000 years while your guide explains the remarkable sequence of events that have surrounded these ancient monoliths. Now we head to the spa town of Bath for a walking and panoramic driving tour of the old Roman and Georgian town, visiting the Royal Crescent, the Circus, and Pulteney Bridge with its fine views of the River Avon cascading down over the weir. Next we journey into the limestone hills of the Cotswolds, a region of picture book villages made famous by the wool merchants in the 14th century who helped build some of the magnificent manor houses and perpendicular Churches that we will pass on route to a charming Cotswolds village for our Christmas lunch. 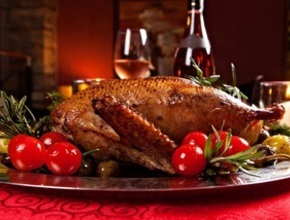 Sit back and enjoy delicious Roast Turkey with all the trimmings followed by traditional Christmas pudding, served in this charming Elizabethan pub while the Christmas festivities of the local village begin to take place. The Inn boasts a superb collection of real ales and fine wines. 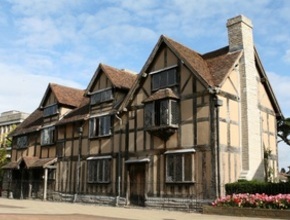 In the afternoon we journey to Stratford-upon-Avon, passing by Anne Hathaway’s cottage before arriving in this picturesque market town. It is famous of course for William Shakespeare, Britain’s most famous writer who was both born and lies buried here. We stop for photos on our short walk at both his birthplace and the delightful Holy Trinity Church where the great man finally came to rest. 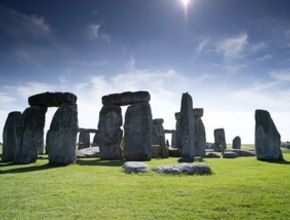 Please note that Stonehenge, The Roman Baths and Shakespeare’s Birthplace will be closed on Christmas Day but the tour still provides a comprehensive overview of each attraction and includes Christmas lunch in the Cotswolds.